This International Women’s Day, let’s talk about something we don’t usually talk about: menstruation. Every day, more than 800 million women between the ages of 15 and 49 are menstruating. And yet monthly menstruation is a globally stigmatized issue shrouded in silence, secrecy and shame. It’s a topic that can be embarrassing to talk about, and some cultures have developed harmful ideas and beliefs about menstruation. The average adolescent girl will be affected by menstruation for 3,000 days in her lifetime. That works out to more than eight years! The basics which make a period bearable—having a private place to manage it, knowing there are people to talk to who understand and having clean materials to use—aren’t a reality for many girls and women living in extreme poverty. Girls are missing school due to completely preventable reasons. The availability of good hygiene facilities in schools makes a big difference to whether or not girls attend during their periods. If girls don’t have access to sanitary pads they will often choose to leave school early, or stay home altogether. UNICEF estimates that a shocking 1 in 10 school-age African girls “do not attend school during menstruation.” This puts girls at an immediate disadvantage and can lead to lower grades; some may eventually drop out of school altogether. 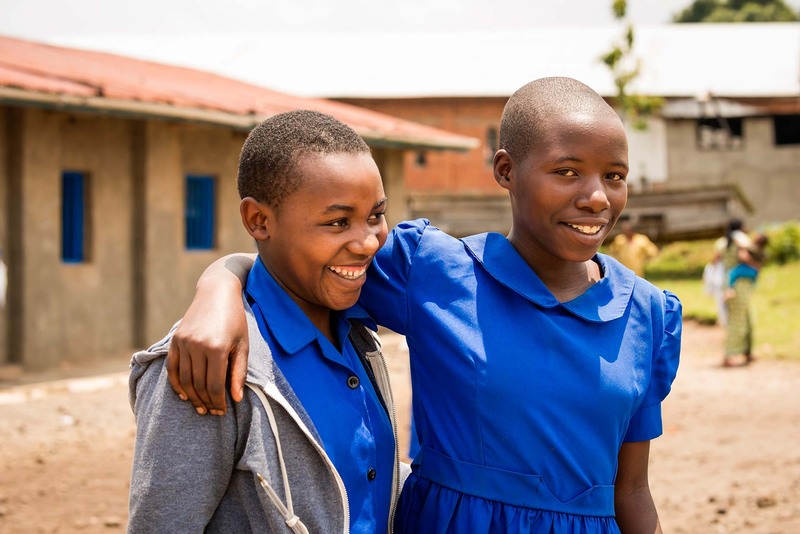 In Uganda, a staggering 28 per cent of girls don’t go to school when they have their period, meaning they miss an average of four days of school each month, or 20 per cent of the school year. Imagine the impact on your education if you had to miss 20 per cent every year. 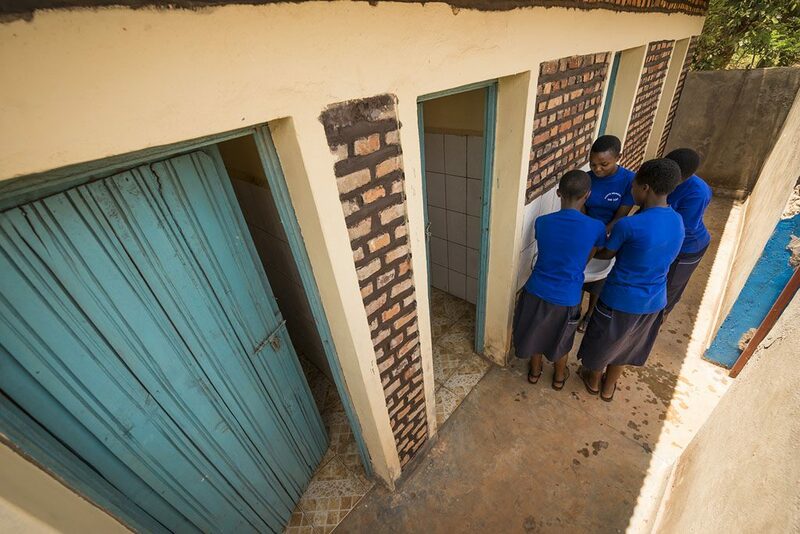 When a girl reaches puberty, access to a safe, private toilet can make a huge difference to her health. It’s hard for us to get our heads around when we have safe drinking water on tap, hot showers in the morning and toilets which flush. But one in three of the world’s population doesn’t have access to adequate sanitation—which means 1.25 billion women around the world do not have access to a toilet during their periods. Girls need clean water to wash themselves or their menstrual cloths and a place to dispose of their sanitary pads if they are using them. Unfortunately many women and girls do not have access to feminine hygiene products to use and only 12 per cent of girls and women have access to commercial sanitary products. Stigmas and taboos around menstruation directly affect a girl’s dignity, confidence and self-esteem. Many cultures do not talk about periods openly. This means that girls often never hear of menstruation before their first period, making it a confusing and scary experience. That is the reality for an incredible 68 per cent of girls in Ghana who knew nothing about menstruation when they started their periods. Taboos around menstruation can also mean that girls are often told they can’t do certain things whilst on their period. The women in the semi-nomadic Maasai region of Kenya are not allowed to enter goat pens or milk cows while they menstruate, while in many Southeast Asian communities, menstruating girls are not permitted to use the same water facilities as the rest of the community. These restrictions add to the isolation, shame and loneliness of menstruation. This article was originally published by Compassion UK.